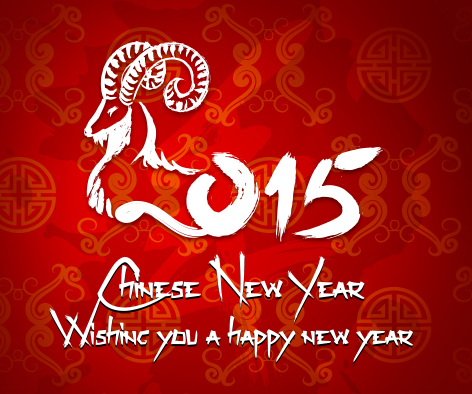 2015’s Chinese New Year is the year of the Sheep, and begins on 19 February. The Year 2015 is the 4712th Chinese year. The Year of the Sheep is all about contemplating and appreciating what has already been accomplished and to think about bringing goodness to others. This year, take a deep breath and calmly look at what's ahead. A steady path, generosity and keeping the peace are this year's mantra. Chinese New Year is the longest and most important of the traditional Chinese holidays and is known as the Lunar New Year. It starts with the new moon on the first day of the new year and ends on the full moon, 15 days later. It’s the longest and most important festivity in the Chinese calendar and is centuries old. We want to wish all of those celebrating a Happy New Year.